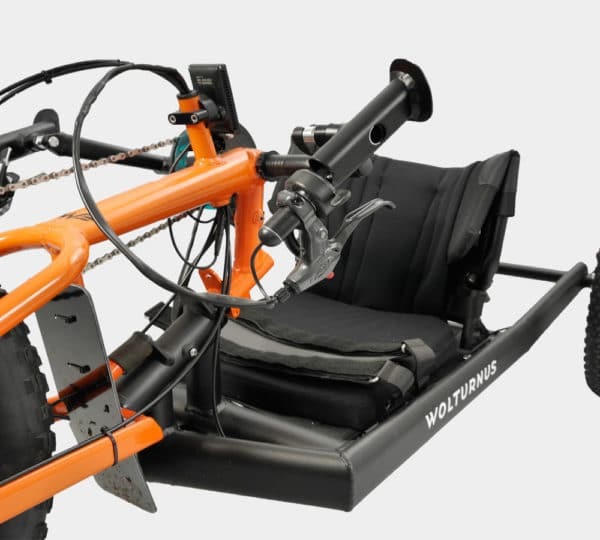 The Wolturnus Fatbike is the newest product of the Wolturnus handbike range. It allows outdoor enthusiasts to experience an entirely new way of handcycling! The fatbike, featuring oversize tires, is ideal for riding on unstable terrains like snow, gravel, sand, and mud. The Fatbike comes with an adjustable seat and back upholstery, an adjustable back angle, a Wing Back ILSA and electrical support. The 250 W has a range of up to 60 km and adds approximately 8 kg of extra weight to the handbike.